market today. 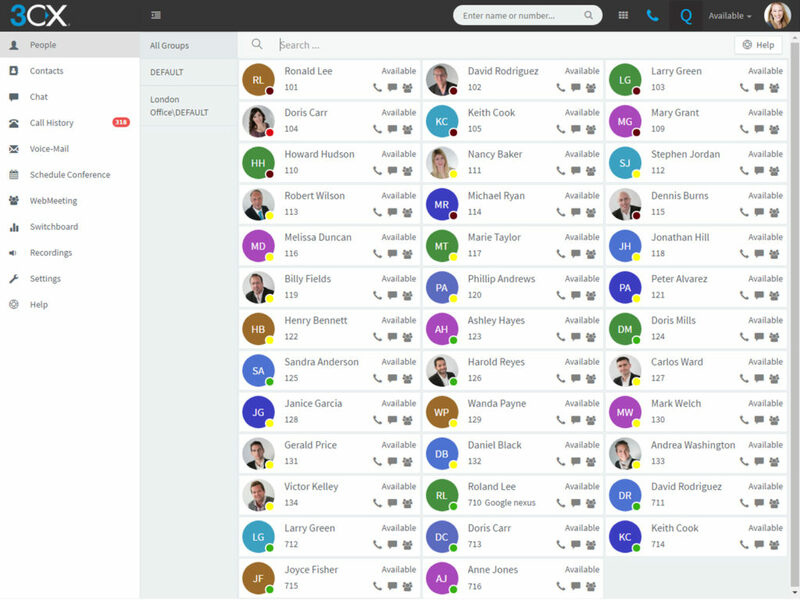 3CX has eliminated common management headaches such as complicated pricing structures that are typically associated with traditional telephone systems, so all 3CX PBX users can enjoy advanced applications such as WebRTC video & web conferencing and smartphone apps at no additional cost and without per-user recurring licensing fees. Save your company thousands of dollars each year by deploying 3CX software on a physical server at your premise or in a virtual server environment. 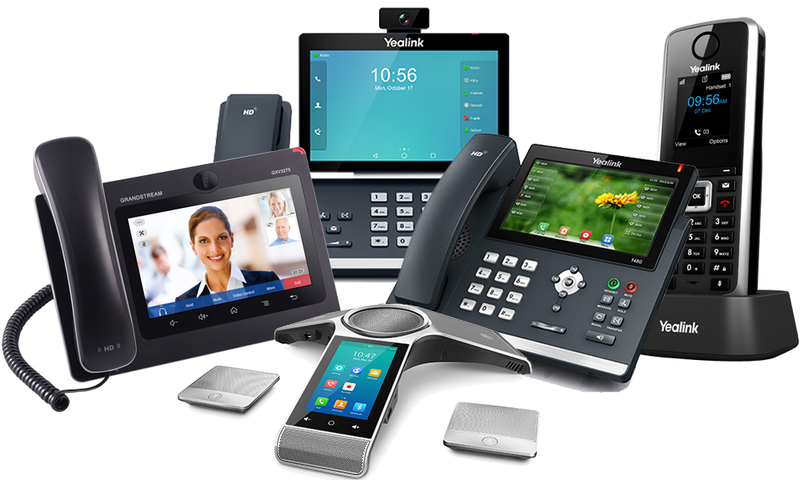 Choose your own SIP Trunk provider and IP phones. Setup is a breeze with the 3CX PBX Express tool, saving additional money on your labor installation costs. 3CX pricing starts at only $395/year! 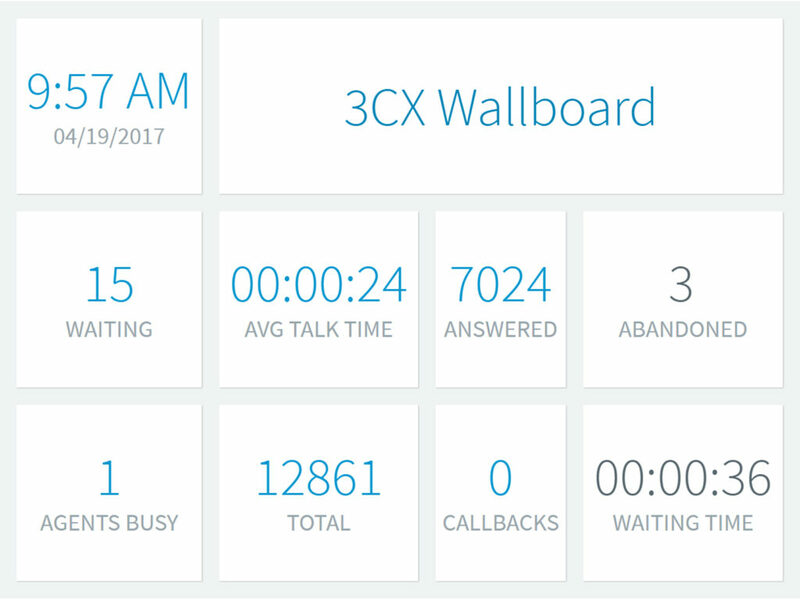 3CX has brought the first zero admin PBX to the market by reducing ongoing phone system maintenance to almost zero. 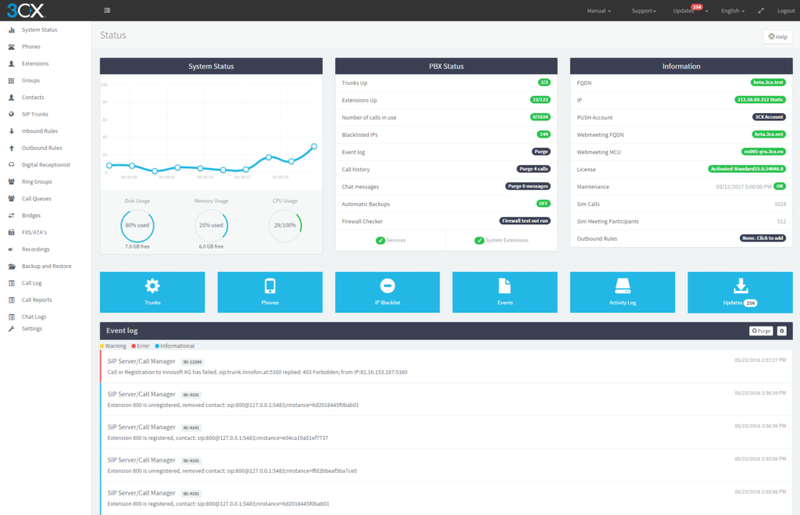 The newly designed user dashboard allows full monitoring from a single screen including key data, machine & PBX information, and critical alerts. Save time and money by quickly adding features, auto purging databases, and downloading security updates in minutes. Get key health information of your PBX including SIP Trunks, global blacklisted IPs, critical system events, etc. Every 3CX PBX system user is entitled to video and web conferencing, presence status, Instant Messaging (IM), voicemail-to-email, and mobile applications without additional per-user licensing fees, extension fees, or application fees. 3CX mobile application clients offer users advanced UC features without having to purchase or learn separate software. 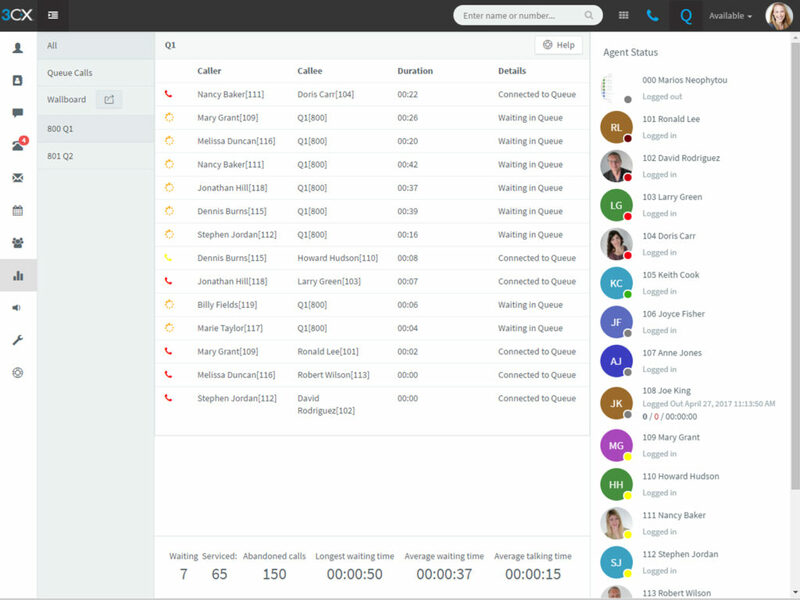 Presenting advanced contact and call center technology, 3CX PRO’s productivity-boosting software is offered at an affordable price for all businesses no matter their size. 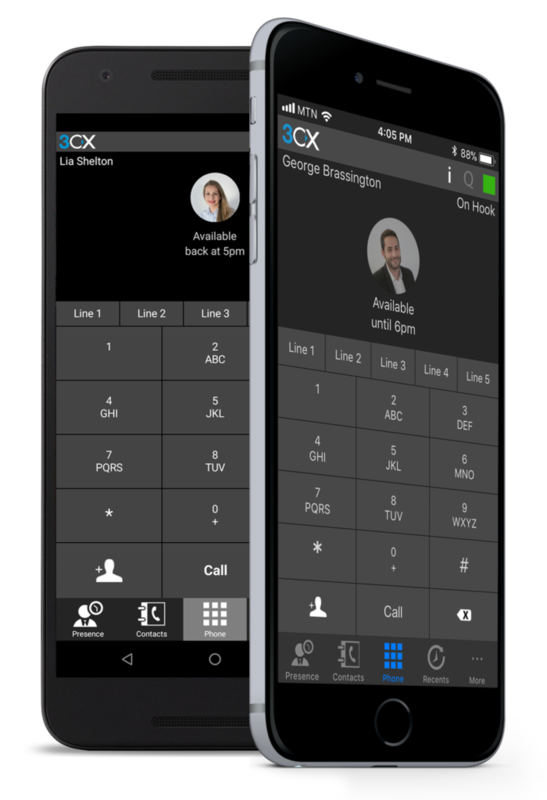 3CX Contact Center includes free WebRTC video conferencing for up to 250 participants. A+ rating from SSL lab. READY TO TRY? READY TO BUY? It’s time to free yourself from traditional telecom costs and maintenance and take control of your business phone system. 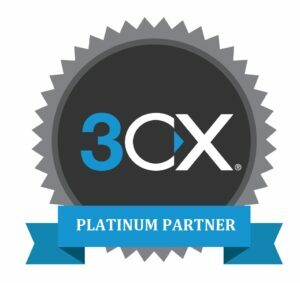 Try 3CX for free at www.3cx.com or contact ACC Telecom to schedule your complimentary 3CX demonstration in Columbia, Maryland, Washington DC, Fairfax, VA, or nationwide.